Paris (AFP) - The casual viewer of the Pyeongchang Olympics could be forgiven for wondering just how many athletes are doped after a raft of recent revelations in winter sports, despite "every effort" to crack down. Endurance sports such as cross-country skiing and biathlon have come under the most scrutiny, but -- much like the Summer Olympics -- no discipline has been completely unscathed in the build-up to the Games, which open on Friday. Russian athletes deemed "clean" will compete under a neutral flag after their country was banned for a well-orchestrated drugs cheating system four years ago that allegedly had links all the way to the Kremlin. 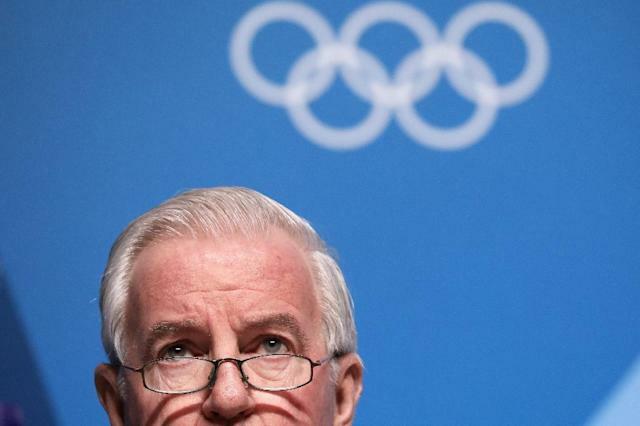 Speaking on the eve of the Games in South Korea, World Anti-Doping Agency (WADA) president Craig Reedie attempted to assuage the concerns of athletes who fear their rivals could dope their way to gold. There had been "very substantial" testing ahead of the Games, he said, adding: "I hope (that) will give the athletes comfort that they are in a fair and honest competition. "Every effort has been made to provide a proper playing field for the athletes and I hope, more than anything else, that at the end of the Games that is what it will be." But recent Winter Games reveal grounds for scepticism. Ahead of the Olympics, British newspaper the Sunday Times and German broadcaster ARD said they had been passed a database showing that more than 50 cross-country skiers set to compete in South Korea returned abnormal readings between 2001 and 2010. Following Salt Lake City in 2002, the International Olympic Committee (IOC) increased its scrutiny after Spain's Johann Muehlegg and four others were caught doping and stripped of their medals. At the 2006 Turin Games, doping products were discovered in a chalet used by a coach involved with Austria's cross-country skiing team. He fled the Games but was caught at a police roadblock. However, doping at the Winter Olympics reached its nadir with the Russian plot four years ago in Sochi. The 2014 Games, hosted at enormous cost by Russia in the Black Sea resort, marked a new low with allegations of state-sponsored doping and the mass switching of test samples in favour of Russians. The former director of the Moscow anti-doping lab Grigory Rodchenkov -- now in exile, fearing for his life and cooperating with investigators -- admitted he fine-tuned a muscle-building cocktail of steroids to ensure Russian competitors won medals on home soil. And they inevitably did, as Russia soared to the top of the medals table -- a triumph for President Vladimir Putin. Russia has always denied accusations that it mounted a system of state-sponsored doping and has accused Rodchenkov of acting alone. WADA commissioned Canadian professor Richard McLaren to compile a report that focused suspicion on hundreds of athletes, with skating, ice hockey, biathlon and even curling on a long list of winter and summer Olympic sports under scrutiny. Endurance athletes in Pyeongchang will be heavily tested for the endurance booster EPO, and anti-doping officials fear that athletes have taken to using tiny, so-called "micro" doses to avoid detection. In response, testers will be taking ever more frequent samples. "EPO micro-doses disappear quickly so doses are taken almost every day in the hope of escaping testers," Xavier Bigard, of France's national anti-doping agency, told AFP. He also warned that the doses were likely to be taken out of competition to aid training and recuperation. Anabolic steroid use is also under the microscope. "One positive test in two is for anabolics and these offences happen in a wide field of disciplines," Bigard added. "EPO and anabolics can be used together to get both endurance and power. A cheat would be well advised to use both." In bobsleigh or speed skating, power is especially important. 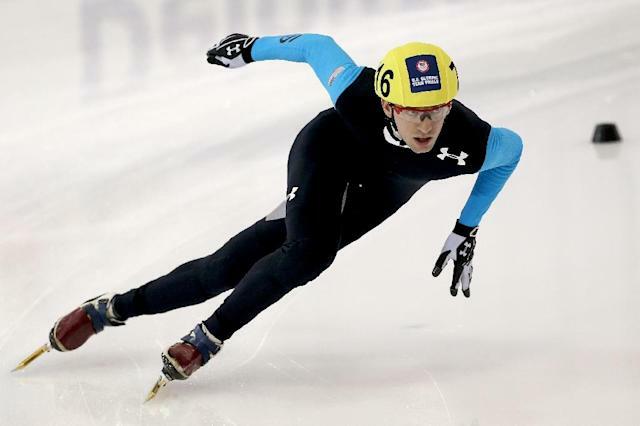 Chinese speed skater Shi Xiaoxuan was banned from Pyeongchang after testing positive for clenbuterol, an endurance-boosting substance. Chris Creveling of the US, a silver medallist in the 5,000m speed skating relay at the Sochi Olympics, has been barred for a positive test for clomifene, as has Canadian bobsleigher Jonathan Francis. "It's a substance that helps bring other anabolics to their full potential, a kind of booster," explained Bigard. According to WADA data, ice hockey has produced by far the most positive tests while alpine skiing emerges almost as white as snow. But fans would be forgiven if they no longer believed in winter sports' Snow White fairytale.